Art History as an academic discipline in Britain is commonly regarded as a German import. Before the 1930s, British art writing was the domain of the amateur and connoisseur. This only changed radically with the influx of émigré scholars – most of them of German-Jewish descent – to Britain after 1933. These highly skilled professional art historians played a pivotal role in developing the research and teaching programmes of both the Warburg and Courtauld Institutes. The project Innovation and Acculturation: the Émigré Art Historians and Britain aims to reappraise and – where appropriate – to challenge the received narrative about the history of art history in Britain. Its aim is to situate the work of the German (-Jewish) émigré art historians in a wider sociology of British Academia, and the intellectual debates within and beyond art historical scholarship. The project seeks to re-evaluate just how ‘German’ British art history became between 1920 and 1970. The timeframe allows to take into account both the British traditions of art writing before the arrival of the ‘Hitler émigrés’, and the émigré’s legacies up to the redefinition of the discipline brought about by the ‘New Art History’ of the 1970s. The establishment of art history as a university discipline in Britain was undoubtedly driven by émigré scholars of German-Jewish descent, such as Nikolaus Pevsner, Rudolf Wittkower, Leopold Ettlinger and Edgar Wind. Their impact on British art history is uncontested. Yet, when Pevsner invited, in 1966, a group of colleagues to debate the current state of the discipline, only few schloars of German origin held academic positions at British universities. Apparently, the impact of the émigré scholars on the emerging discipline was less ubiquitous than one might expect. This raises crucial questions: how successful were the German émigré scholars in ‘importing’ their version of rigorous art history to Britain? Which ‘indigenous’ British traditions of art writing persisted despite the influx from the continent? And to what degree did the émigrés adapt their methods and approaches to the expectations and agendas of their British hosts? 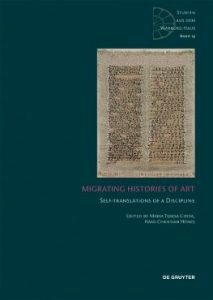 Hans Christian Hönes and Maria Teresa Costa (eds), Migrating Histories of Art. Self-Translations of a Discipline (Studien aus dem Warburg-Haus vol 17), Berlin/Boston: de Gruyter, 2019. Hans Christian Hönes, “’A very specialized subject’: Art History in Britain”, in Insiders/Outsiders. Refugees from Nazi Europe and their contribution to British Visual Culture, ed. Monica Bohm-Duchen, London: Lund Humphries, 2019, 97-103. In autumn 2019, the LBI will organize a conference on German-Jewish art historians in Britain, convened by Dr Hans C. Hönes (Leo Baeck Institute London) and Dr Emilie Oléron Evans (Queen Mary University of London). The event will be hosted by the Centre for Anglo-German Cultural Relations at QMUL and supported by the Paul Mellon Centre for Studies in British Art. 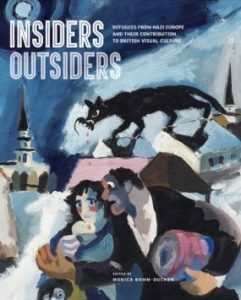 The conference will be part of the “Insiders/Outsiders” Festival – a nationwide arts festival celebrating refugees from Nazi Europe and their contribution to British culture.